Have fun counting animals of all sizes, shapes, and colors and lifting the number flap. Amusing, lively illustrations (2-4). With a bold palette, striking graphics, and a bouncing menagerie of animals, this pair of uniquely formatted lift-the-flap books introduces young readers to the basic concepts of counting and patterns. Each is a boisterous, vivid trek of discovery, providing irresistible clues which encourage lifting the flap—a hands-on, educator-approved strategy of uncovering and learning concepts. Whether it's finding out just who's next in Animal 123, or exploring differently patterned creatures hiding in the habitats of Animal Spots and Stripes, these ultra-sturdy books provide not just an intriguing way to communicate essential building blocks of learning, but also offer an energetic playground of sheer delight. 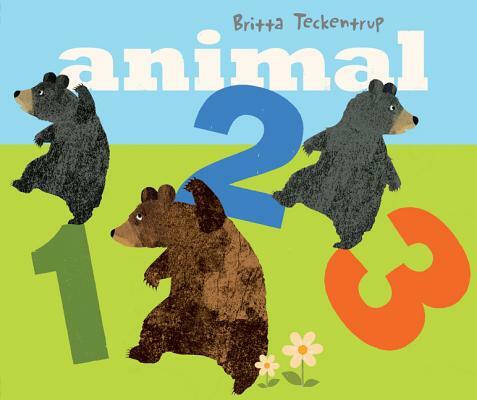 Britta Teckentrup is the author and illustrator of more than a dozen books which have received numerous starred reviews. She lives in Berlin, Germany, with her husband and son.